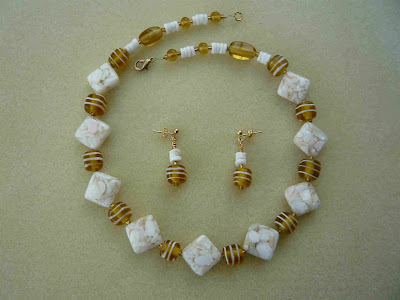 The large beads seem to be pieces of shell set in resin and the small ones are honey coloured glass beads, made using a technique called "lampwork". 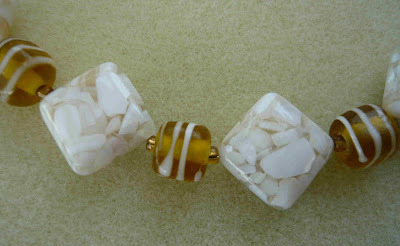 Detail of the shell beads. Wow, this is a beautiful necklace! !